We recently did a review of the top studs at the three big fantasy positions (quarterback, running back, and wide receiver). Now, we dig into the fun part: Finding diamonds in the rough. Nothing is more fun than going with your gut and hitting on a sleeper you've been eyeing. Without further ado, here are three sleepers you need to be targeting in your next PPR draft. The surprising thread between all of these sleepers is that they are all rookies. Usually rookies get overhyped in their first year in fantasy. However, these three players can all be drafted in the 12th and 13th rounds. These guys are all upside and no risk. Data taken from today's 12-team ADP data. 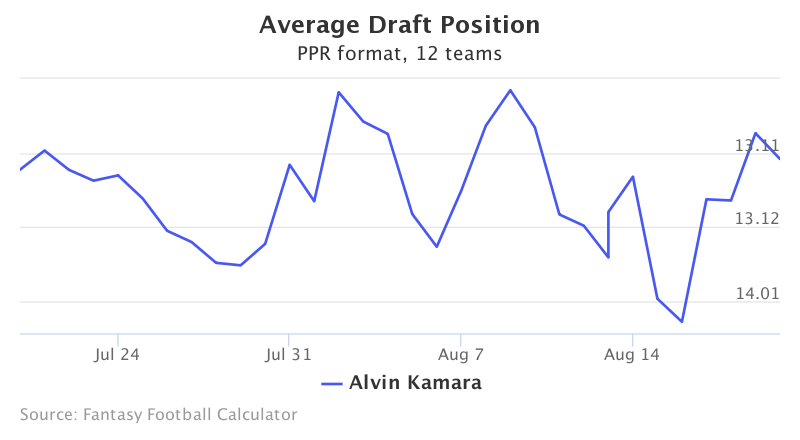 Hopefully Alvin Kamara's draft stock doesn't rise too much, because he scored a touchdown in his first pre-season carry. If your draft is coming up soon, you should still be able to get him while he's flying under the radar. He's currently being drafted in the 13th round of fantasy drafts. 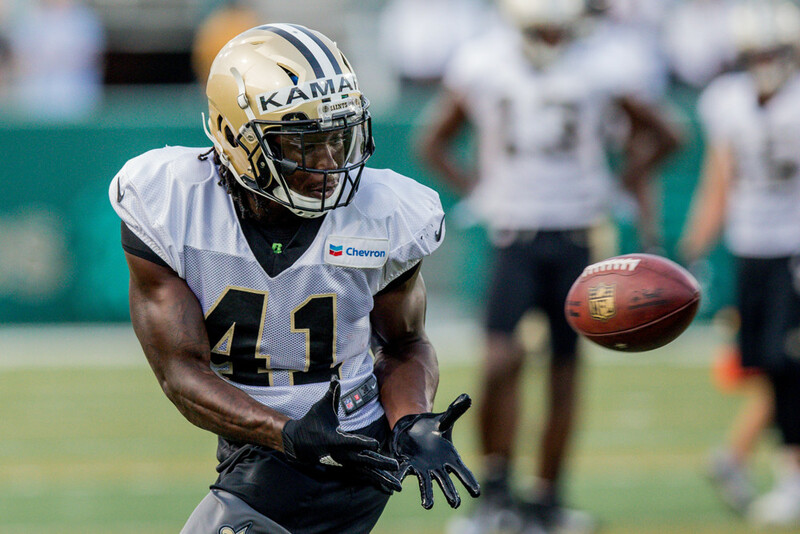 Kamara is a rookie buried behind Mark Ingram and Adrian Peterson. However, he's a dynamic pass-catching playmaker that the Saints traded up for in this year's draft. He's all upside, and with one of your last picks in the draft, he can be a difference-maker for your team. 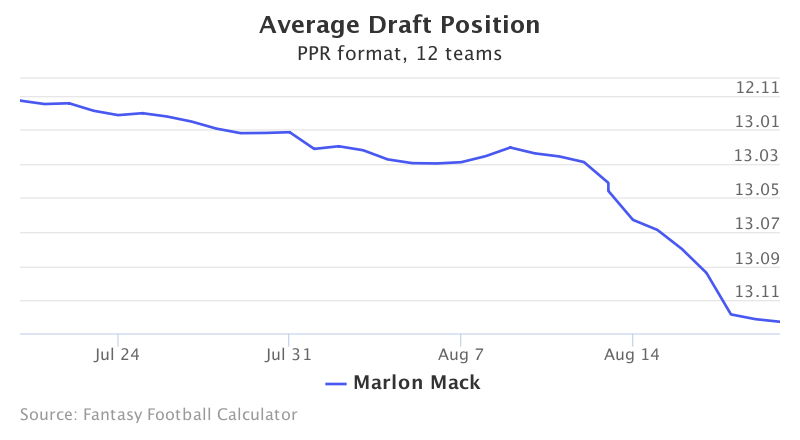 Marlon Mack is another sleeper rookie running back drafted in the 13th round in PPR leagues. Like Kamara, he has two veterans in front of him on the depth chart in Frank Gore and Robert Turbin. However, Mack had a sizzling pre-season debut by taking 5 carries for 45 yards and added 2 receptions for 15 yards. Gore can't keep going forever, and Turbin is not a stand-out talent. If Gore were to go down with an injury, expect a lot of touches for Marlon Mack this year. Kenny Golladay has slowly been building buzz this offseason for those who have been paying attention. The secret finally came out though, when he caught two touchdowns in his pre-season debut. 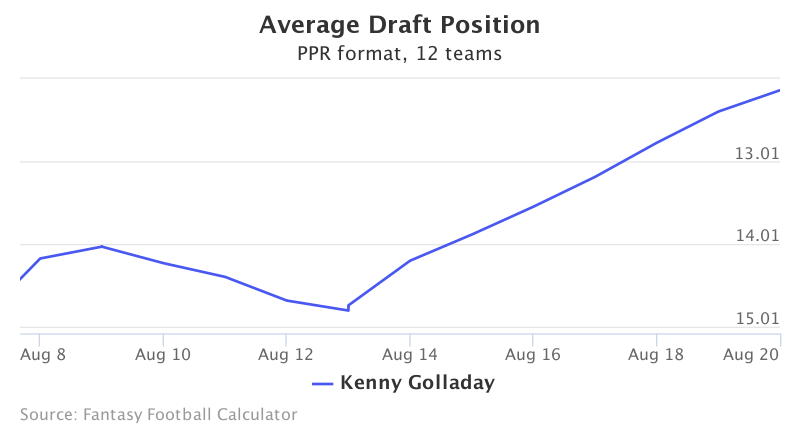 His ADP is rising, and he currently sits at 12.02 in PPR fantasy drafts. Golladay was a low-hype, but solid draft prospect taken by the Lions in the 3rd round of this year's NFL draft. He's been keeping his head down, making plays, and producing. As long as his ADP doesn't shoot up too high, feel free to draft him as a high upside late-round flier. Matthew Stafford always has plenty of targets to spread around, and Golladay could end up with plenty if he gains his trust.